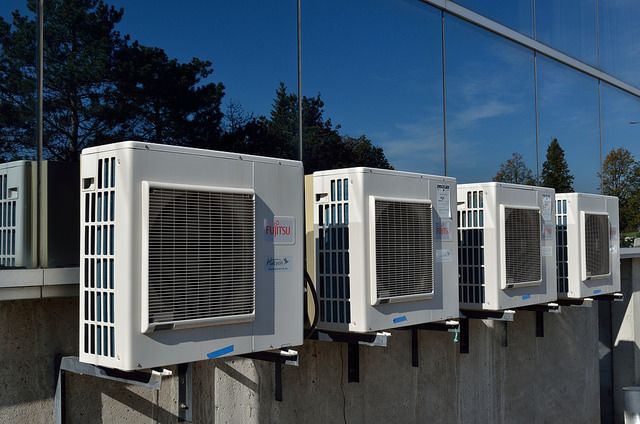 A frozen air conditioner occurs not when the weather outside is too cold but when enough cold air condenses around the coils that the tubes get too cold and refrigerant is not allowed to flow properly. When this happens there is no more cold air in your house. While the weather may be hot, your air conditioner is literally frozen in that no cold air is flowing into your house. Here is a simple guide to fixing a frozen air conditioner. The first thing to do is check the condenser outside. Look at the coils and if there is ice on the outside of the coils then you’ve got a frozen air conditioner. Turn off the unit by first making the setting on your thermostat too high for it to come on and then turn off the circuit at your circuit breaker box. Now take a closer look at the coils but don’t touch them for risk of frost bite. Normal coils shouldn’t have any frozen ice on the outside of them at all. If yours does then you need to let the coils thaw. 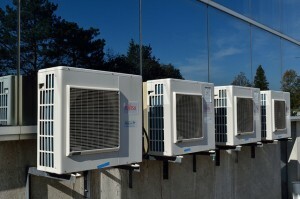 Before you can check how well your condenser unit works you will have to let the coils thaw in the outside air. You should just be able to let it sit there in the warm weather and that should do the trick. Clean up the condensation afterwards so it doesn’t collect by your condenser unit. The water will only add to any problems if your unit freezes up again. Plus the water can eventually turn black and dirty so just get it out of there while you can. The reason ice accumulated on the condensing coil is because it’s not getting enough air to it. There are several things you can now check to see if the coil has air getting through to it. Inspect the fan blades to see if they are in the proper shape. If they are bent or have crud on them that might hinder the flow of air you might clean them up or straighten the blade. Clear out any debris around the unit in general, such as leaves or even grass that’s gotten too tall. Any objects that could get in the way of air flowing over that coil could cause it to accumulate ice rapidly. Once you’ve got those problems solved start your unit up again and see if it works. If the coil still freezes up you may have a dirty coil that you need to clean off.